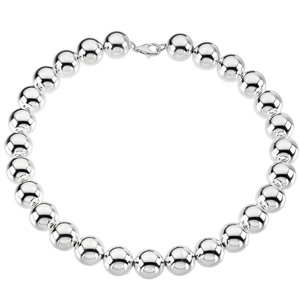 This bead necklace is made of polished sterling silver. Length: 16 inches. Bead diameter: 16mm. Weight: 93.25 grams.